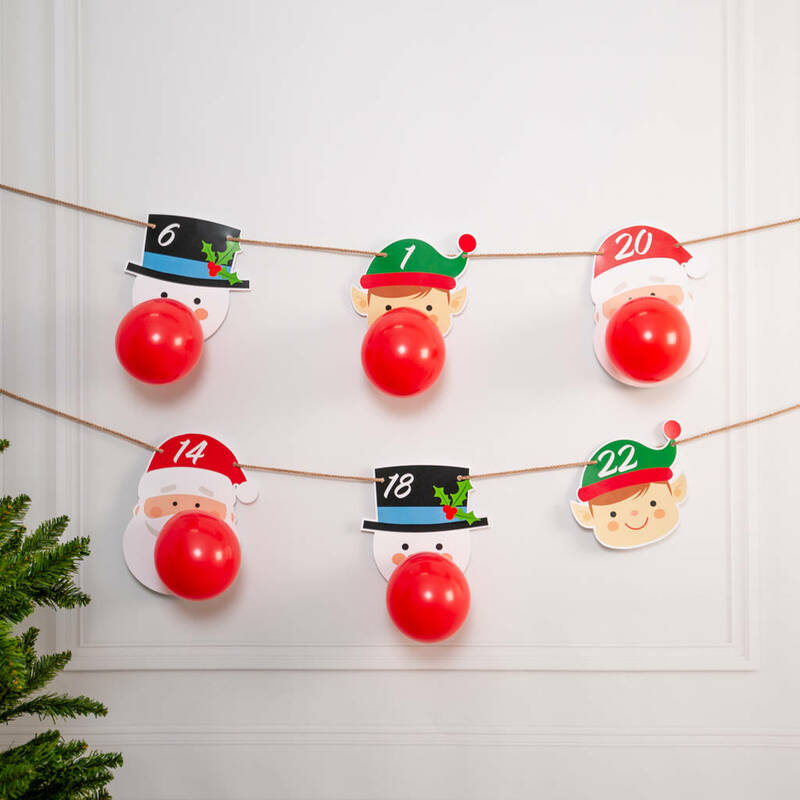 A fun and unique balloon advent calendar, the perfect way to count down to the big day! The advent calendar is made up of 24 5-inch balloons each pre-stuffed with a Christmas chocolate. 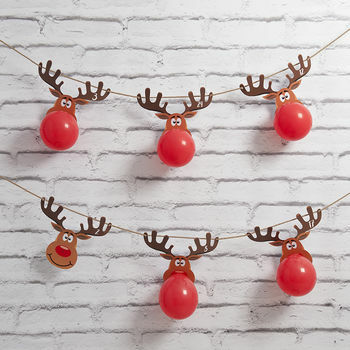 The kit includes the gold cord, 24 red mini balloons pre-stuffed with Christmas chocolate and 24 gorgeous red nosed reindeer's ready to be inflated to create this unique Christmas Advent Calendar with. 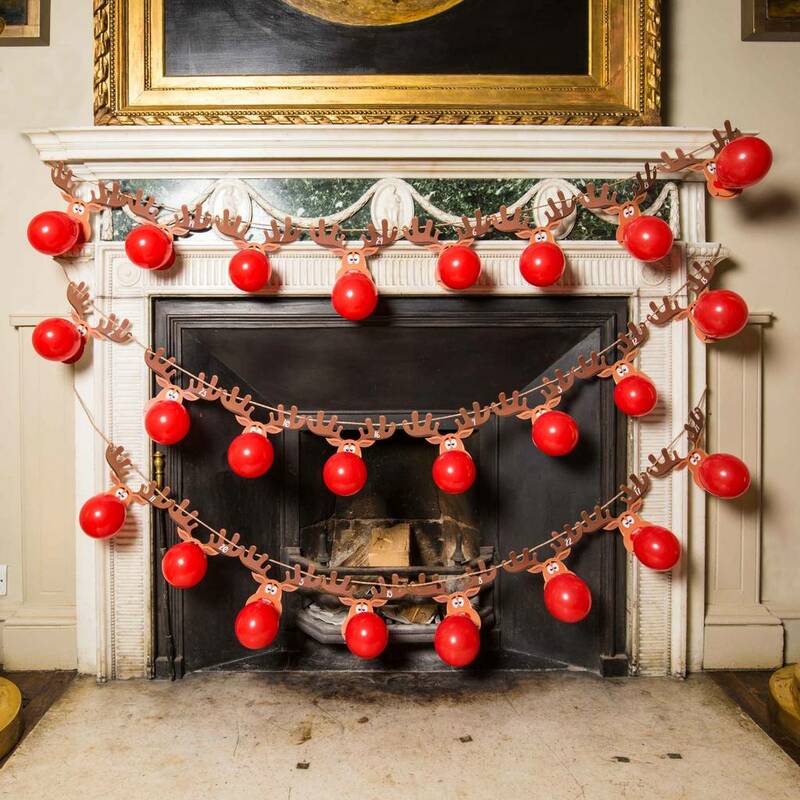 Simply inflate the mini balloons with a balloon pump (if you do not already have one we recommend you add it on with your purchase, because the balloons are so small they are tricky to inflate by mouth) and thread the tied end through the reindeers nose. Each balloon contains a chocolate and is ready to be popped and enjoyed! The Balloon Advent Calander comes in a pack ready for you to assemble. 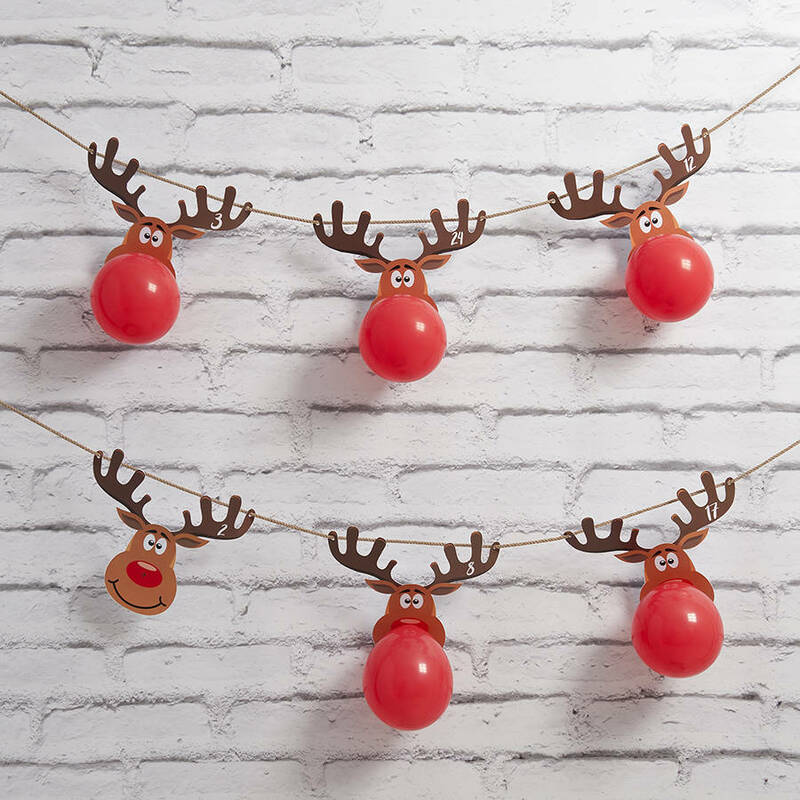 Included in this pack are 24 red nosed reindeers, 26 red mini balloons containing a chocolate, gold cord and an instruction card. We have included 2 spare balloons in case any pop unexpectedly or deflate too soon. Please ensure you tie the balloons as tightly as possible once inflated to ensure they stay inflated for as long as possible. Please ensure you keep the balloons away from radiators, hot rooms and bright lights because of the chocolate inside and to help the longevity of the balloons. Due to space you may want to consider inflating the balloons a week at a time, this will also ensure the balloons are as fresh as possible. If you do decide to inflate all the balloons at the beginning of advent please be aware they will deflate slightly over time at a varying rate depending on the room temperature. Ingredients: Sugar, Palm Oil, Whey Powder (Milk), Reduced Fat Cocoa Powder, Emulsifier: Sorbitan Tristearate, Soya Lecithin, Natural Flavouring. Allergy Advice: PRODUCT INCLUDES SOYA & MILK DERIVATIVES.